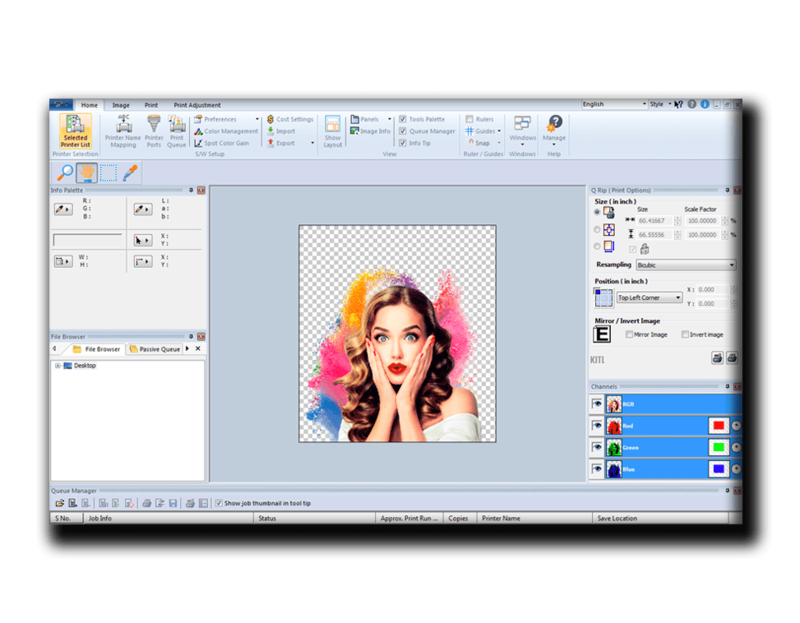 Create eye-popping graphics with our free AnaRIP software, premium Kothari Print Pro RIP software, and optional Spark design software. 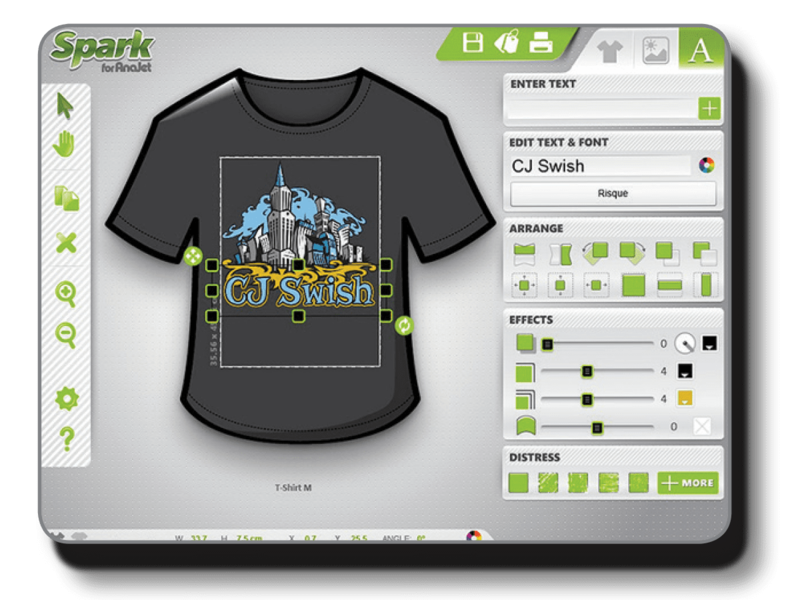 When you have a blazing fast direct to garment printer, you need the best RIP software to drive it. 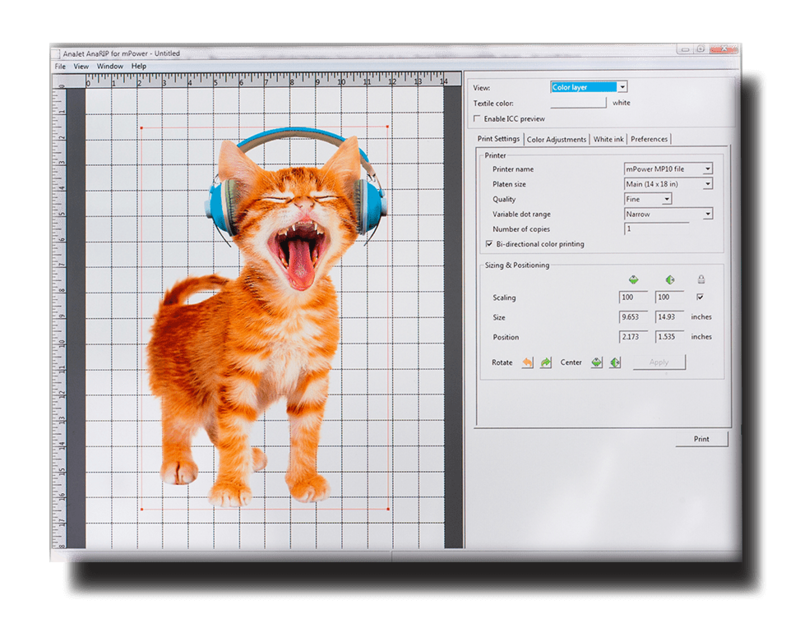 AnaRIP is included with all printer purchases and is optimized for use with your machine. Predefined defaults that have been tuned to deliver amazing results in most customer situations. You still have the tools available to adjust to meet your needs. All images require processing before a printer can output them. AnaRIP processes images in seconds. AnaRIP TrueView automatically adjusts colors on your monitor based on your shirt color so what you see on the screen matches what you see on the garment. AnaRIP tells exactly how much ink youll use and how much it costs so you can price your shirts appropriately. or more free hard disk space.